Green Seal™ is a US-based independent non-profit organization, founded in 1989 to identify and promote products and services that have less impact on human health, the environment and our natural resources. Green Seal-certified products have met strict criteria for reduced toxicity, reduced packaging and required performance testing, as verified by a third-party review and a manufacturing site audit, as well as on-going compliance monitoring. Green Seal’s mission is to use science-based programs to empower consumers, purchasers and companies to create a more sustainable world. Green Seal has 32 standards in over 375 product categories including Sanitary Paper Products (GS-1), Institutional Cleaners (GS-37), Institutional Floor Care Products (GS-40), Institutional Hand Cleaners (GS-41) and Institutional Specialty Cleaners (GS-53). A professional in the cleaning industry can choose to utilize the Green Seal product certification standards to specify and source third-party certified products which have a more environmentally preferable profile. Green Seal-certified green cleaning products in the categories of institutional cleaners (GS-37), institutional floor care products (GS-40), carpet care, institutional hand cleaners (GS-41), institutional specialty cleaners (GS-53) and sanitary paper products (GS-1) can help a facility reach its overall sustainability goals, and can potentially contribute to LEED O+M certification for the building or CIMS-GB certification for the cleaning service provider. For more information on Green Seal, please visit www.greenseal.org. 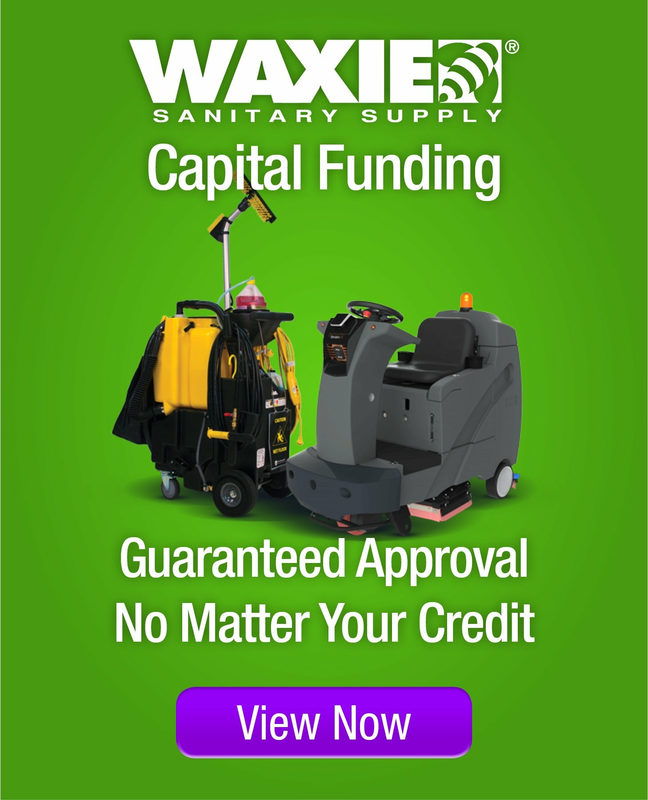 WAXIE has several Green Seal certified products from which to choose, including all-purpose cleaners, glass cleaners, neutral floor cleaners, restroom cleaners, carpet cleaners, hand soaps, hand sanitizers, floor finishes, floor finish enhancers, floor strippers, and sanitary paper products. Your WAXIE Sanitary Maintenance Consultant can work with you to design and implement a customized green cleaning program which includes Green Seal-certified products.